First place went to Isabell Werth, who turned in yet another stunning performance aboard Weihegold OLD. This weekend’s victory marks the fourth time Werth has won the Amsterdam event. The silver medal went to Dorothee Schneider on Sammy Davis Jr., who demonstrated why she won a team gold medal at the most recent FEI World Equestrian Games™ in Tryon. In the third podium position was Helen Langehanenberg, who set the pace before the halftime mark on Damsey FRH. The stands at RAI Amsterdam were packed, as the crowds eagerly anticipated what was sure to be an equestrian treat.. 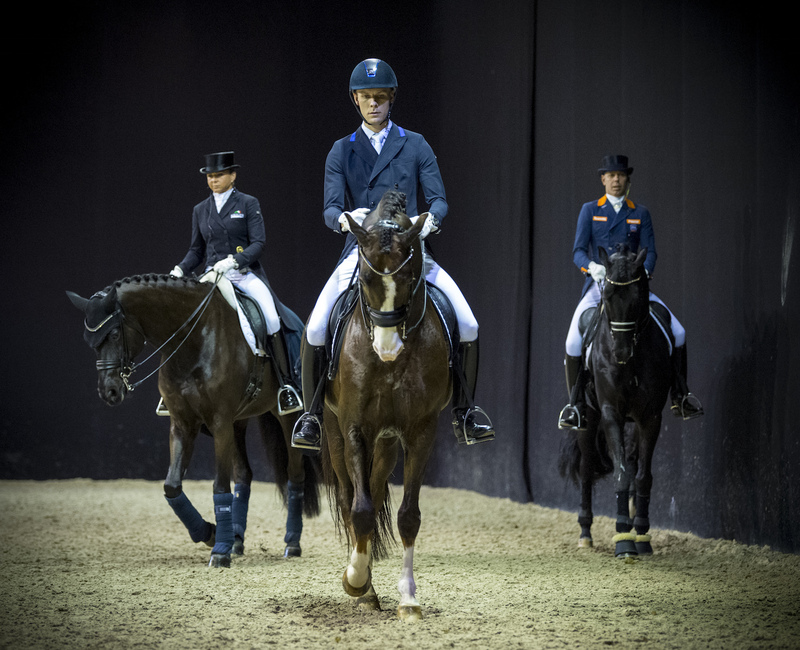 Some of the world’s top Dressage riders were vying for qualifying points to head to the World Cup Finals in Gothenburg in April. 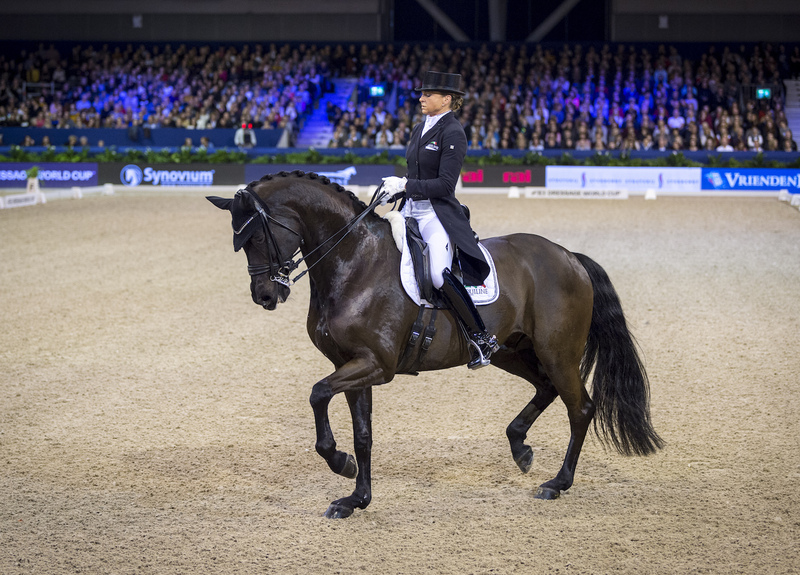 The Dressage Grand Prix Freestyle was part of the Jumping Amsterdam weekend, celebrating its 60th year in 2019. Fifteen riders participated in this eighth leg out of 10 for the Western European League. With limited berths available to go to Sweden, the competition was stellar, and seven riders had scores over 80 percent. At the midway point of Saturday’s event, Langehanenberg was in the lead, having executed one of two programmes with a degree of difficulty of 10. A former FEI Dressage World Cup™ champion, Langehanenberg’s precision and risk, like a canter straight into piaffe, wooed the judges for a score of 82.420 percent. Behind Langehanenberg were Emmelie Scholtens of the Netherlands on 79.675 percent and Antonia Ramel of Sweden, who trains with Patrik Kittel, appearing in the second half of the competition. After the interim break, the scores started popping, with nearly every rider a World Cup qualifying event winner, World Cup title holder, or Olympic medalist. Schneider’s programme was smart and clean, with trot work and super rhythmic tempi that melded beautifully with her tango music. The judges were impressed for a score of 82.675, which put her into the lead. Would the numbers hold? Up next, Kittel put Delaunay OLD through his paces to the crowd-pleasing strains of Guns N’ Roses. Whilst his rock and roll music had the crowd tapping their feet, the programme carried a 10-point degree of difficulty and showed off spectacular piaffes for an 82.290 percent score. After Judy Reynolds of Ireland put up a new personal best of 80.290, it was the reigning World Cup champion’s turn. On her attentive mare Weihegold, Isabell Werth gave a textbook performance. Precise, harmonious, and expressive, the duo checked all the boxes for the judges for a score of 86.810 percent and the gold medal. Hans Peter Minderhoud of the Netherlands, who won the qualifying leg at Mechelen, Belgium, in December took fifth place. Daniel Bachmann Andersen of Denmark was the last competitor to finish in the top six. After Saturday’s Dressage event, Schneider leads the Western European League standings on 70 points, with Langehanenberg close behind on 68 points. Benjamin Werndl of Germany holds the third league slot with 65 points. Minderhoud, Kittel, and Andersen are now all in the top 10, as well as Frederic Wandres of Germany, who took the qualifying leg at Olympia in December and who competed this weekend too. Who will make it to Gothenburg in the spring? Stay tuned to FEI TV for more thrilling Dressage action.